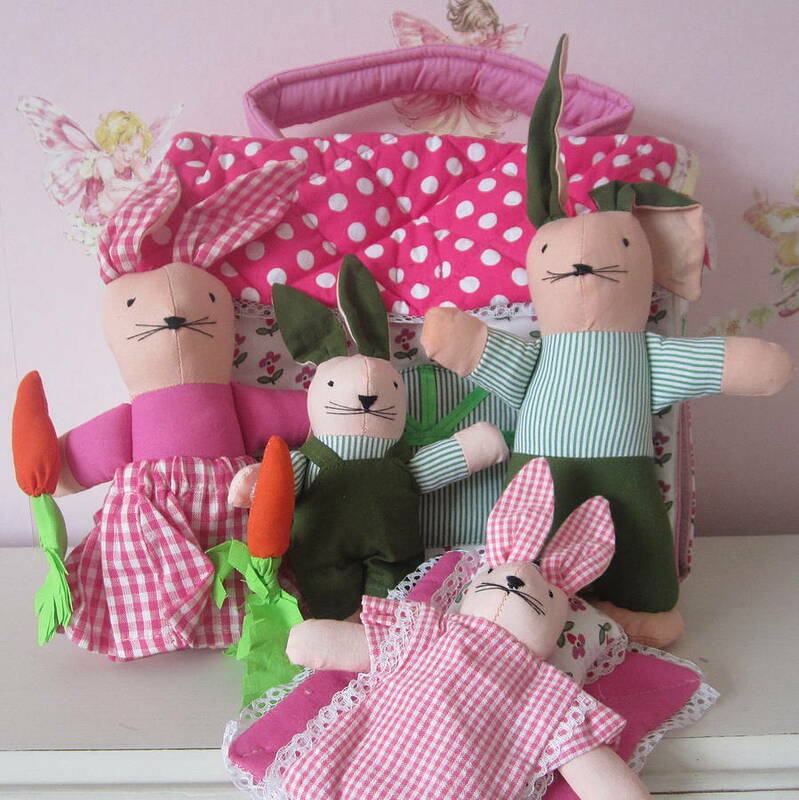 Meet the cotton tail rabbit family that live in a sweet meadow cottage. 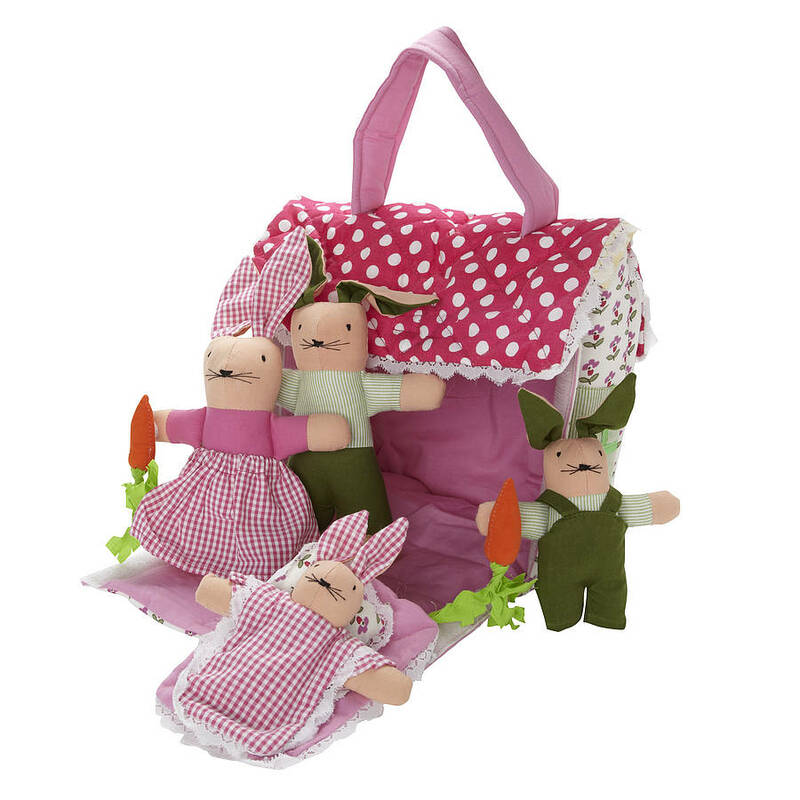 Bunnies all fit in the fabric cottage which is also a carry bag that children will love to take everywhere. 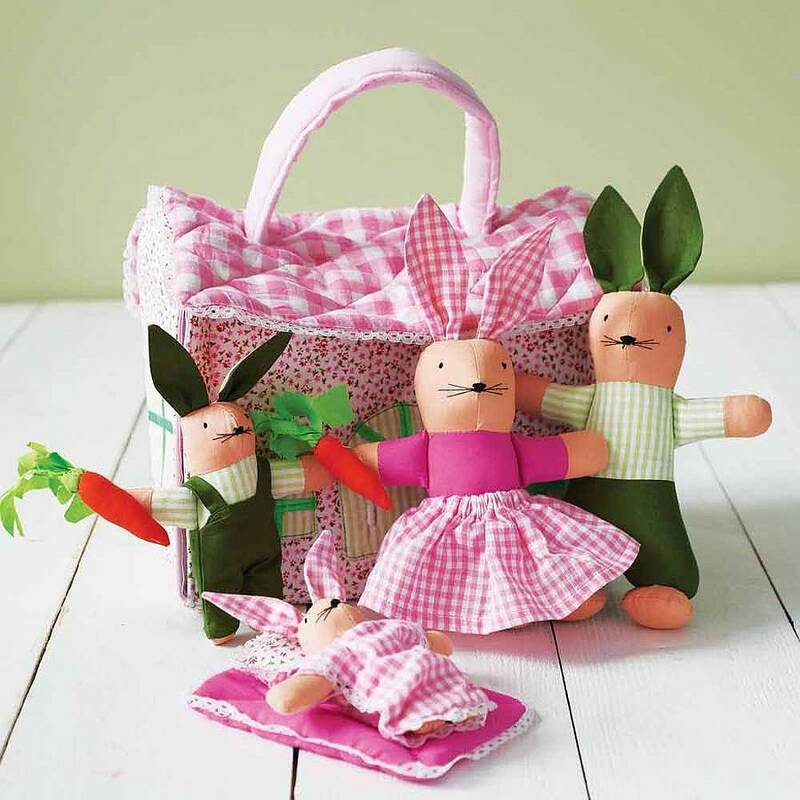 They even come with little carrots that they love to munch on. There is also a blanket and pillow. 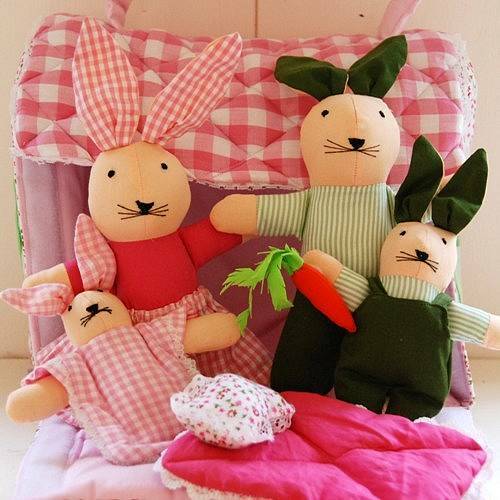 Makes a lovely personalised gift for a child as bunny family can be custom made to match your own - 2 sisters, or sister and baby brother, or even 3 sisters or 2 brothers. A special gift for a child expecting a new sibling. 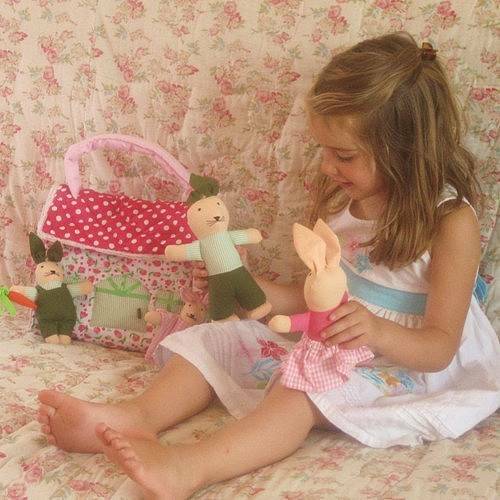 Handcrafted with beautiful cotton fabrics to be treasured always. 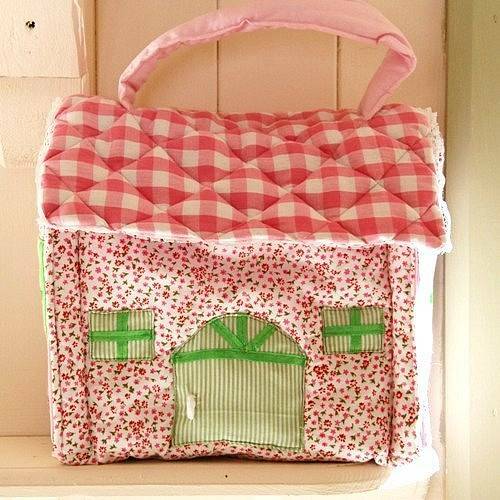 Easily transportable and a wonderful gift that will provide hours of imaginative play. 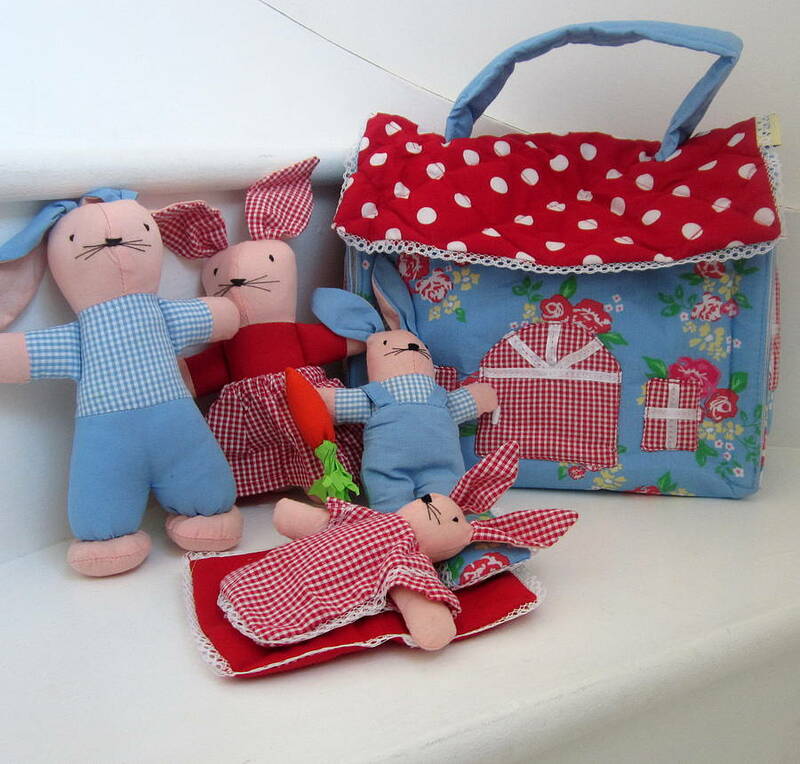 The Bunny Cottage currently comes in 3 fabric options - Pink polka dot roof, pink gingham roof or a lovely red and blue option for the boys or girls that are just not into pink! 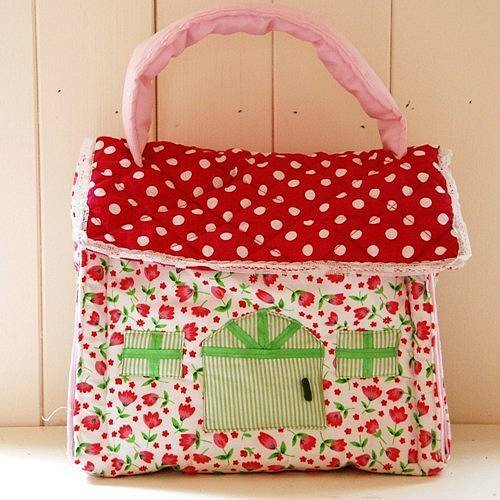 100% cotton fabrics on the outside with soft toy filling inside. This product is dispatched to you by The Fairground. 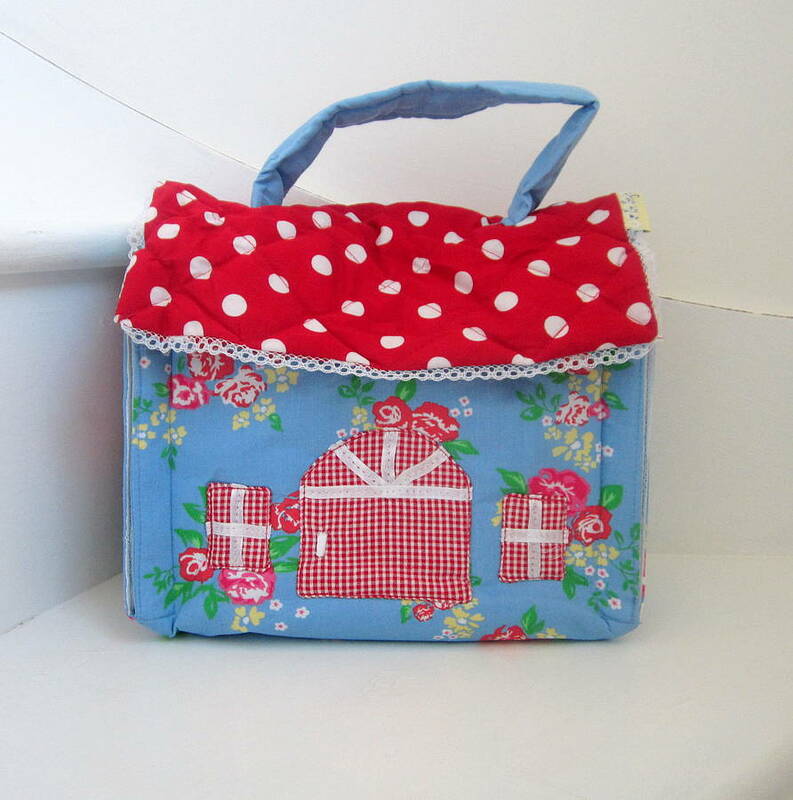 At the fairground we aim to dispatch all orders within 2 days.